A strange case of wholesale murder has roots in the second world war and the brutalities of the German concentration camps. 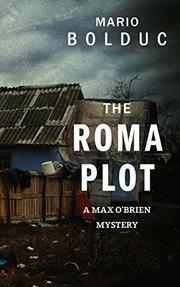 New York–based con man Max O’Brien (The Kashmir Trap, 2016) has flown to Bucharest to help his old friend Kevin Dandurand, improbably suspected by police for the murder of 23 Roma. Max gets a crash course in Romanian history and some details of the recent massacre from his local guide, Toma Boerescu. The Roma, it seems, were squatters in a condemned building that went up in flames. Ever since their origin in India a millennium ago, the Roma have been nomads, widely persecuted and thrown into concentration camps alongside the Jews during World War II. So it’s thoroughly logical that a subplot introduced in the opening chapter and woven throughout the story is set in the Auschwitz-Birkenau concentration camp and features the infamous Dr. Josef Mengele. As additional flashbacks dramatize the roots of Max and Kevin’s friendship in the early 1990s and its vicissitudes up to the current day, Max struggles both to piece together the story behind Kevin’s alleged crime and to find his friend, who’s on the run but checks in periodically by phone. At length, Max finds the immediate causes of Kevin’s crisis in a $38 million deal, a sketchy Italian company, and a fateful meeting involving Max and Kevin’s ambitious father at, of all places, Trump Tower. Displaying a lively curiosity for Romanian history and contemporary life in Bucharest, Bolduc weaves seemingly disparate plot threads into a twisted yet coherent yarn.